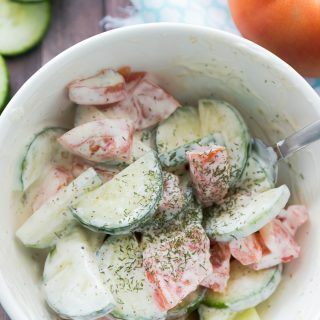 Place diced cucumbers and tomatoes in a medium size serving bowl. In a small bowl whisk together sauce ingredients until mixed throughly. Pour over cucumbers and tomatoes. Serve immediately or refrigerate until ready to use.